For the past 3 years we have designed the University College Birmingham’s two public restaurants’ leaflet. 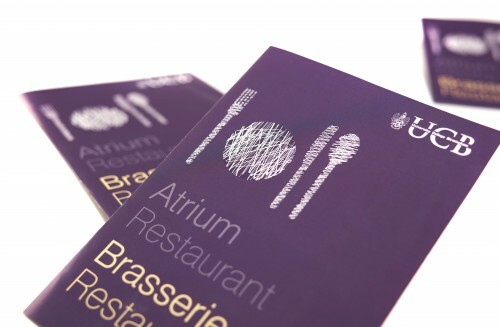 This year they wanted to change the look and feel of the leaflet to ensure it mirrored the newly refurbished restaurants’ quality and sophistication. Through the use of bold colours and stylized illustrations we have created a leaflet that really showcases a key asset to the university. The use of a UV spot on the cover has added an extra touch of elegance.